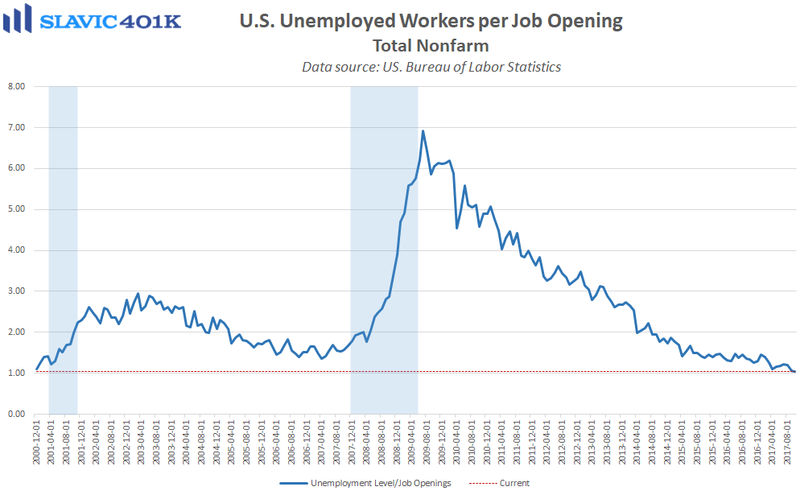 The latest job openings and labor turnover survey (JOLTS) from the Bureau of Labor Statistics, one of Federal Reserve chair Janet Yellen’s favorite economic indicators, showed that there were 5.996 million job openings in America in October (lagged release). That was an unexpected decrease from the all-time high hit in September and the weakest headline reading since May, although still a historically solid monthly print that is consistent with a healthy U.S. labor market. Most of the new job openings in October were found in the accommodation and food services (+94,000), construction (+48,000), and real estate and rental and leasing (+40,000) arenas. 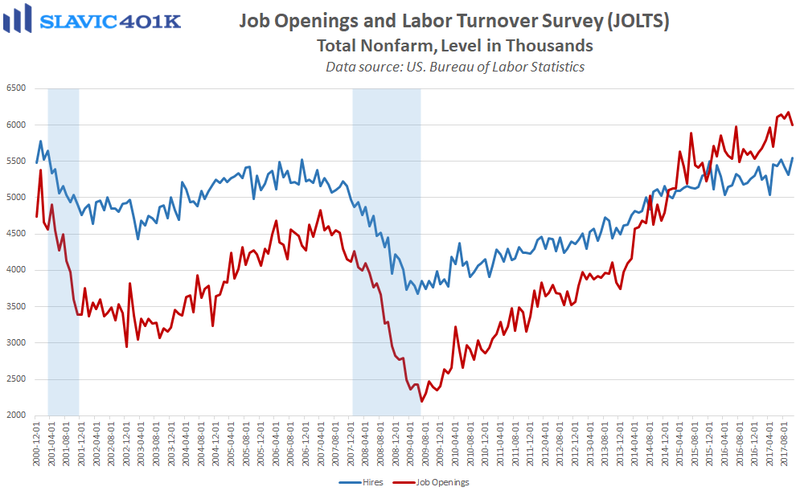 Job openings in October decreased in the wholesale trade (-90,000), finance and insurance (-47,000), information (-32,000), and non-durable goods manufacturing (-26,000) sectors. 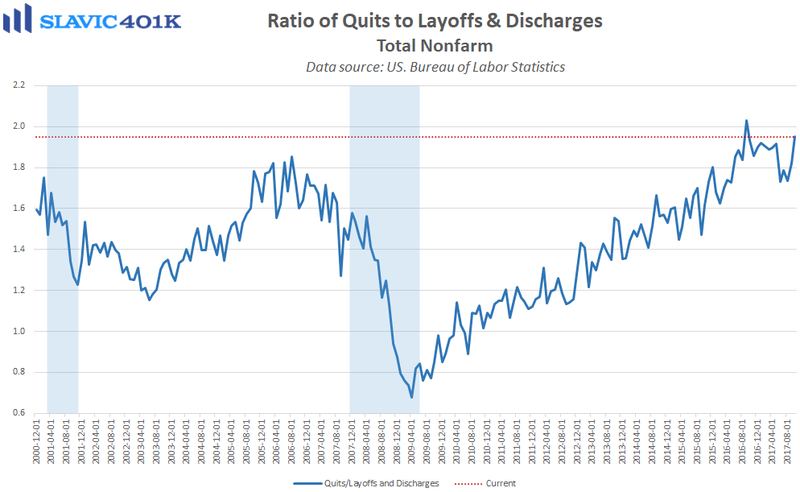 Other highlights from the latest JOLTS report include that the number of unemployed Americans per job opening slid to a record low in October (1.04), and the ratio of quits to layoffs and discharges rose to the best reading in more than a year. Altogether these measures remain supportive of U.S. workers’ increased willingness to give up their current job security for better employment opportunities (upward pressure on wages).